It's been raining more often now but the day's heat is still at its worst. When the rain is pouring, there's no other way to enjoy your cup of coffee than with a bite of Lotus Biscoff. Its delectable hint of cinnamon and other spices add to Biscoff’s well-beloved unique taste. On the other hand, summer days mean ice cream all the way. The thick, creamy, cold bite that can bring you back to winter wonderland. 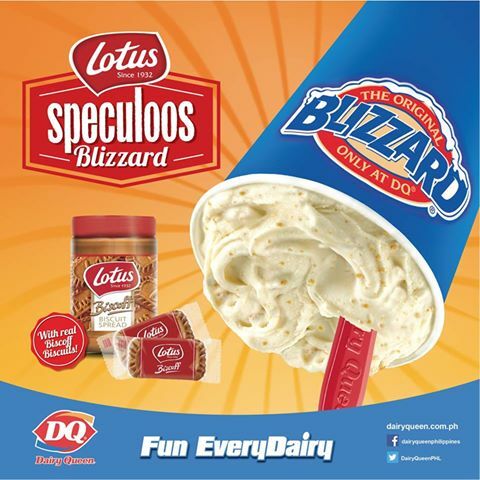 Get this limited offering from Dairy Queen: Lotus Speculoos Blizzard! Mixing our favorite peculoos flavors with ice cream, now that's perfect for our bipolar weather, all year round! You can now have a taste of Lotus Biscoff in your favorite Dairy Queen stores nationwide! 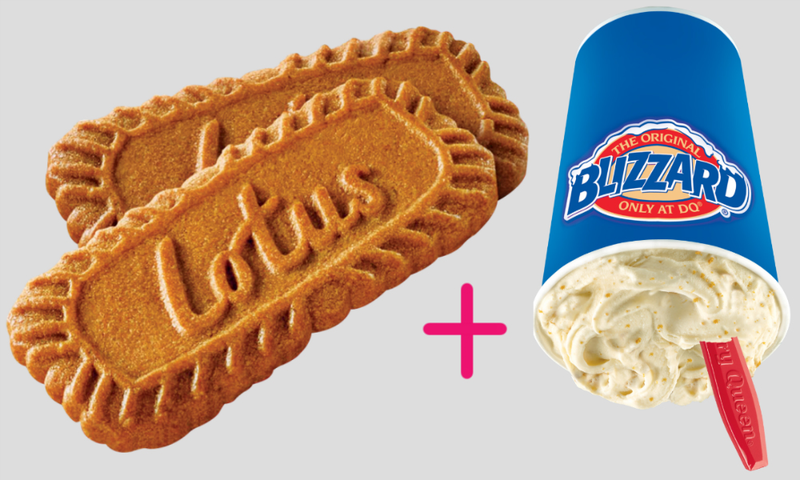 The Lotus Speculoos Blizzard features the unique taste and crunchy texture of Biscoff cookies together with the sweet & creamy Lotus Biscoff Spread. It’s so thick and creamy that you need to scoop it in a spoon and served upside-down. Available in three sizes, regular, medium and large, get them until July 2. 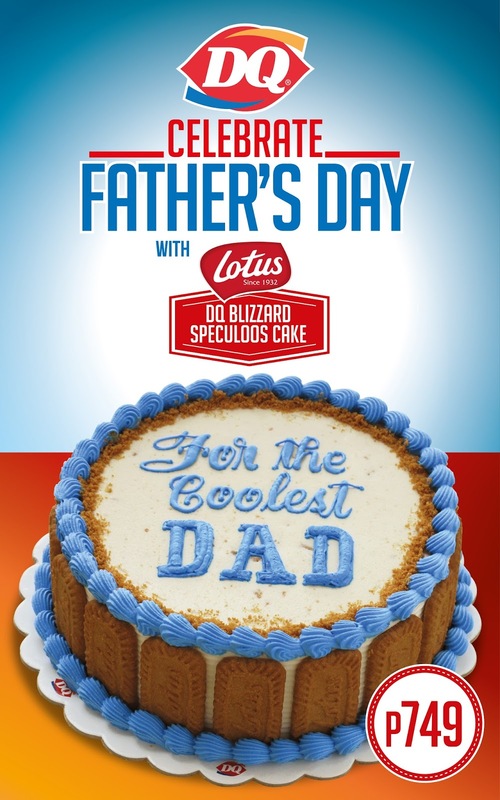 As a special treat for Father's Day, the delectable intensity of flavor of the Lotus Biscoff caramelized biscuit is now combined with Dairy Queen’s Blizzard Cake. They surely know how to reward each ‘cool’ dad with an equally awesome ‘cool’ cake. You can now surprise your beloved fathers with this limited edition treat on his special day. With its unique caramelized flavor and texture, it will surely capture their hearts. So don’t forget to grab this chance of trying out Dairy Queen’s Father's Day Speculoos Blizzard Cake from June 15 - 21, 2015 in all DQ outlets nationwide. Satisfy your craving with these limited offers from Lotus and Dairy Queen. Lotus Biscoff is the famous international brand that launched to fame for its unique wonderful flavor, therefore acquiring the name of Europe’s favorite coffee biscuit. 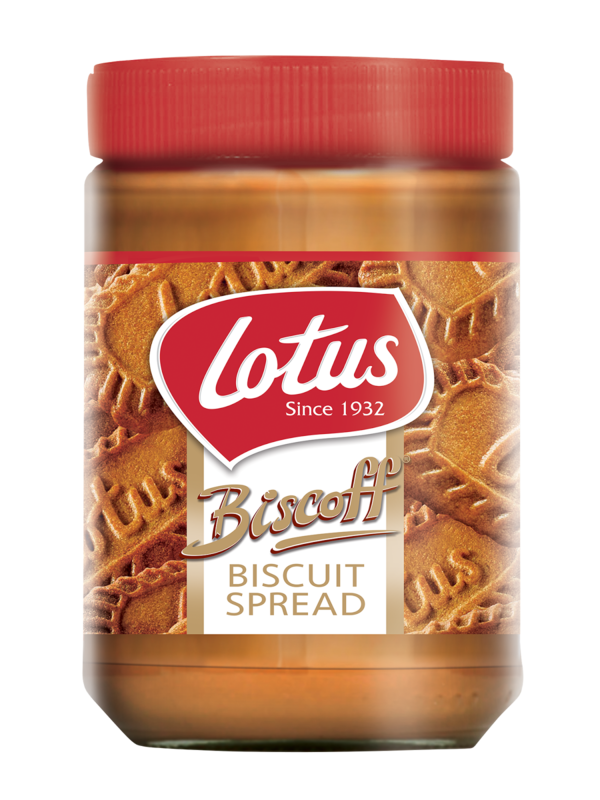 The Lotus Biscoff cookies also have a sister product, which is the Lotus Biscoff Spreads, available in Crunchy and Smooth Texture under a new packaging. Together, they make up a whole product line that will surely excite tastebuds and create those sweet cravings from the young and young at heart.